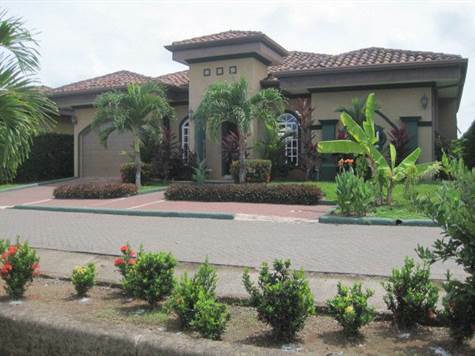 "GATED COMMUNITY NEAR PRISTINE BEACH"
This charming home is in Costa Del Sol at Playa Bejuco, a private, gated community located on Costa Rica's Central Pacific Coast area, between Jaco and Manuel Antonio. Costa del Sol features two community pools, palapas, tennis and volleyball areas, and a BBQ Rancho with wireless internet capability. 24 hour security. A pleasant 300 meter walk down the to Playa Bejuco, an uncrowded Blue Flag beach. Ideal vacation or retirement home. Home features 3 bedrooms & 3 baths. Beautiful kitchen with Granite countertops and eat on Breakfast bar.